With international football returning to our screens during the long summer months in 2018, FIFA have decided to change the system they use to determine what countries are drawn up against each other in the group stages of the World Cup, according to the ​Sun. Previously, the host nation would be joined by the highest ranking teams in pot 1. The remaining pots would then be decided based on geographical location, however, FIFA have decided that they will now use the rankings to determine which teams belong in which pot. This change in system means the possibility of a ‘group of death’, a phrase we often hear in the Champions League, is very real. 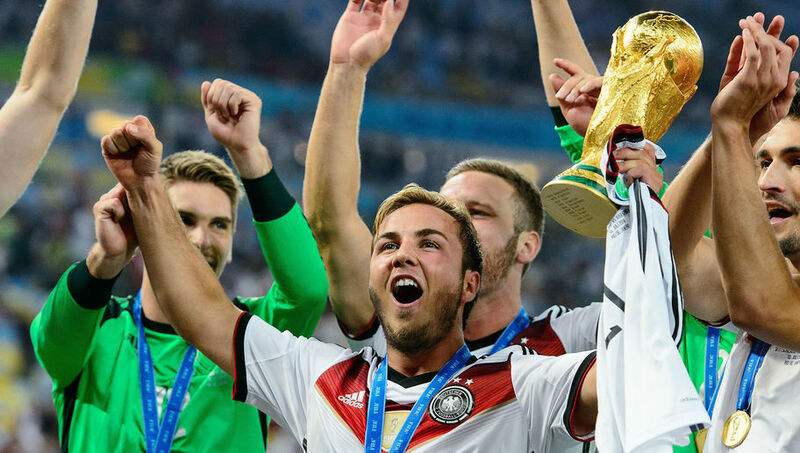 As things stand, reigning champions Germany will be placed in pot one along with a host of other nations, including Brazil and Argentina. Winners of the World Cup in 2010, thanks to a late Andrés Iniesta strike that saw off the Netherlands, Spain are likely to be placed in pot number two. Hot favourites to win Euro 2016 last summer, France, join Spain in pot two and the mouthwatering prospect of exciting group stage matches at the 2018 World Cup is looking like a reality. In pot three, with the the possibility of facing Spain and Germany in the group stages, sits the winners of the World Cup in 2006 – the Azzurri. When Marco Materazzi conceded an early penalty in Berlin, Zinedine Zidane stepped up for France and Italy went 1-0 behind. Just 12 minutes later, the former Inter Milan defender levelled the score and the World Cup final was set to be decided on penalties. French striker David Trezeguet was the only man not able to convert his spot kick, allowing Fabio Grosso, the man who’s goal book Italy’s place in the Wolrd Cup final, to claim victory at the Olympiastadion. As things stand, we could potentially be in for a number of heavyweight clashes in the group stages of the competition next summer, with the draw for the competition going ahead on December 1.